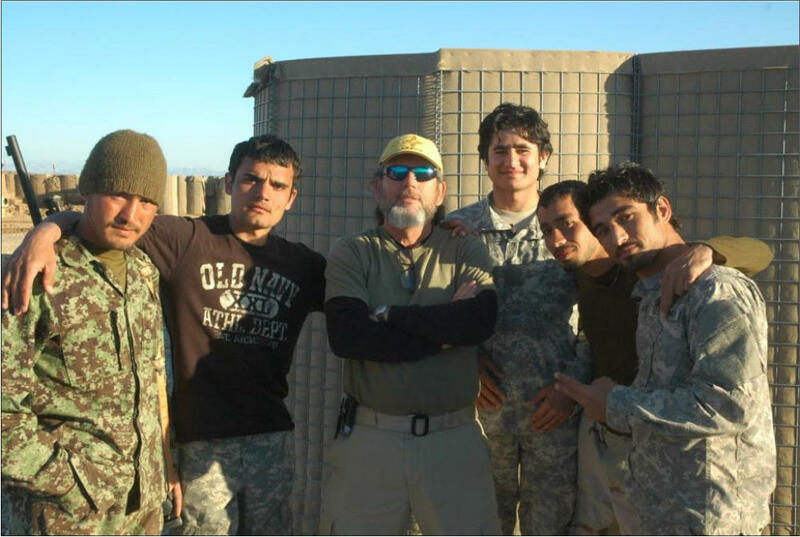 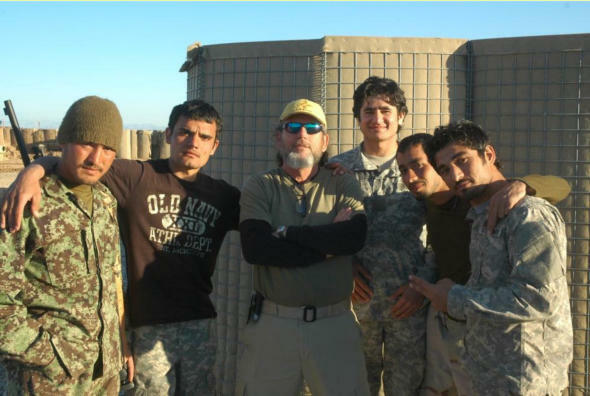 Jim Spiri, center, is seen with some Afghan National Army troops in Helmand province, March 1, 2012. 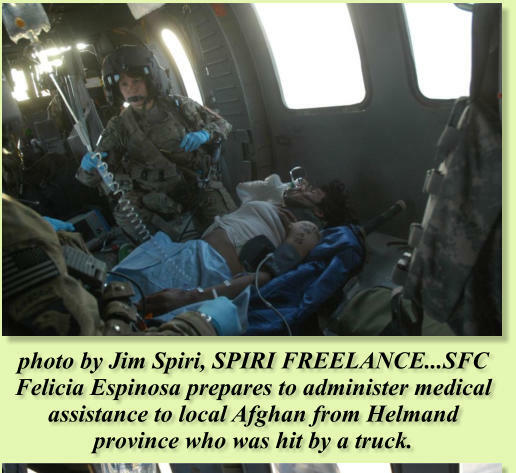 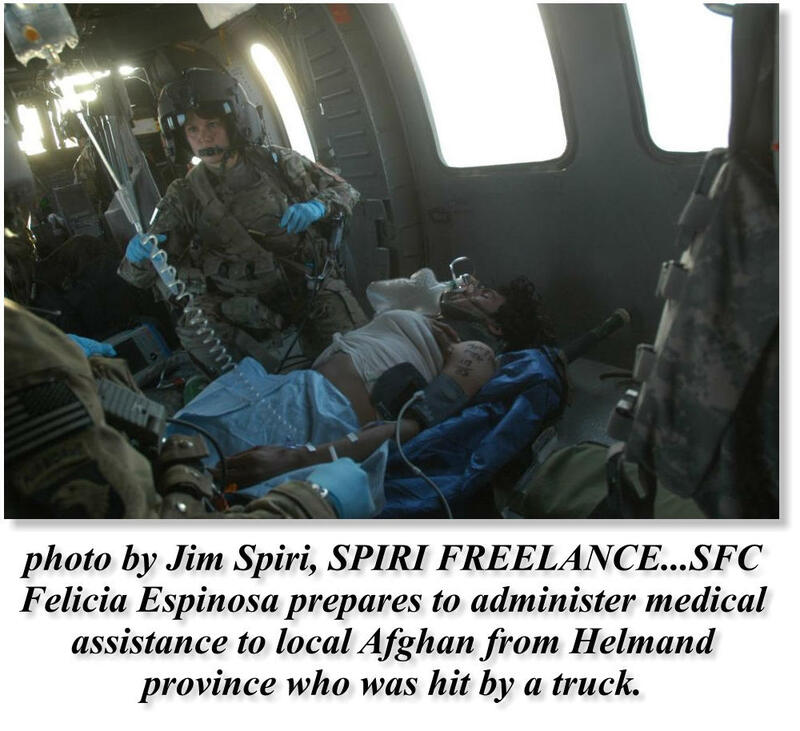 Photo by Jim Spiri, SPIRI FREELANCE...Afghan National Army troop poses for photo. 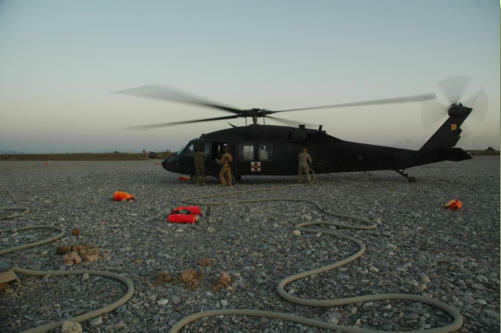 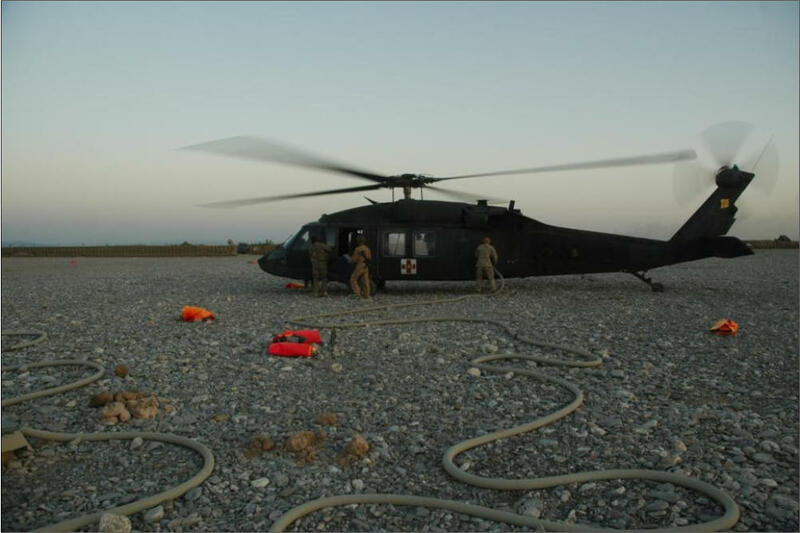 Photo by Jim Spiri, 3/01/2012 Sgt Zachary Menzies looks at medical equiptment in helicopter as he works on patient on medevac helicopter working in Afghanistan. 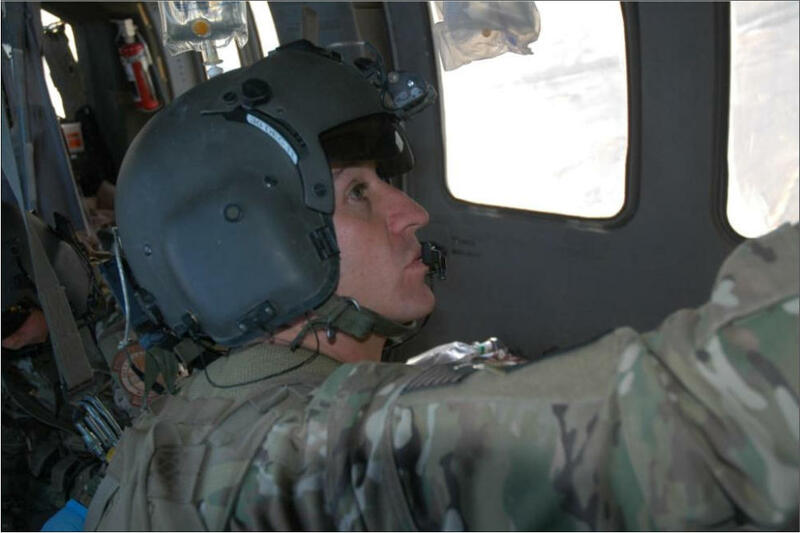 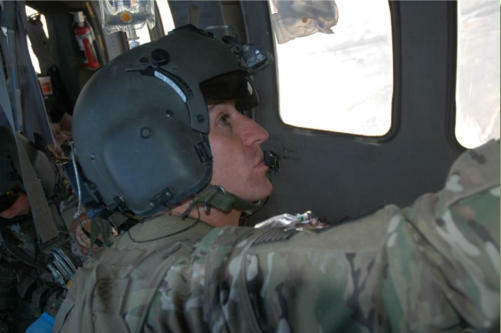 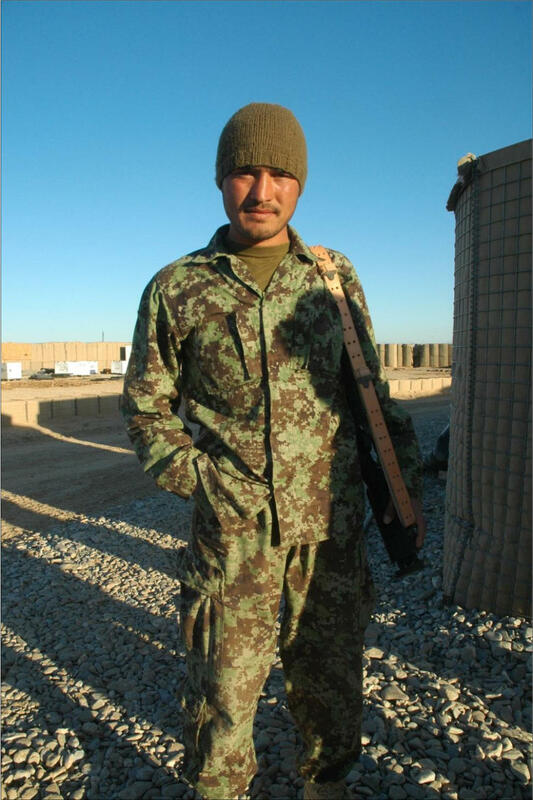 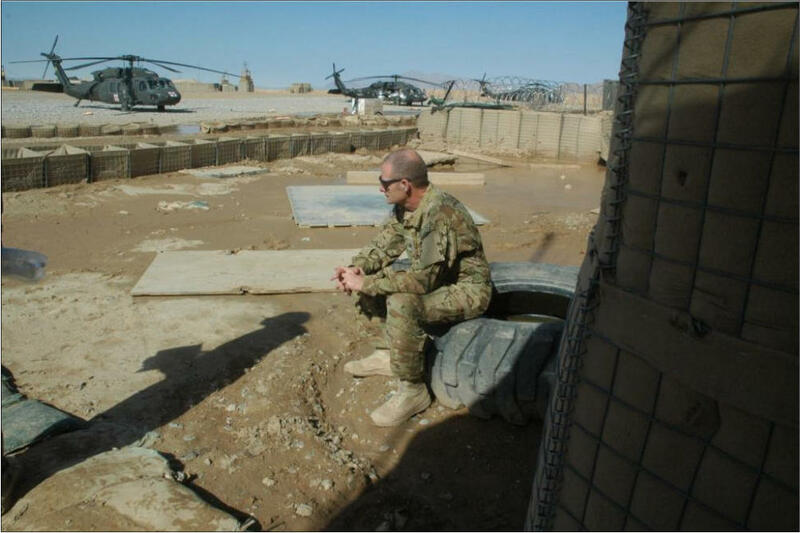 Menzies is an Albuquerque fireman deployed with C-company, 1st BN, 171st AVN Regiment New Mexico National Guard. 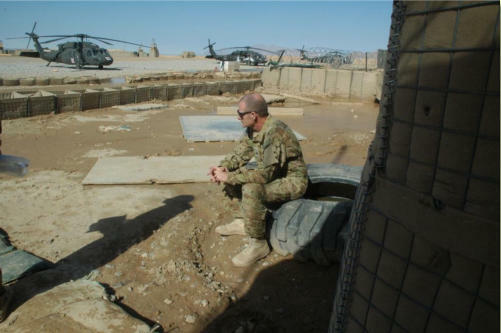 Photo by Jim Spiri - 3/01/2012 - Medic Troy Hayes, from the Arizona National Guard takes time to think after the end of a mission.